Baler belt for John Deer baler. Thereâ€™s nothing quite so frustrating for a farmer than belt failure in the midst of baling. At very least, the problem means down-time. Losing an opportunity to take advantage of sunny weather can also mean lost hay. At worst, belt problems can cause costly damage to other baler parts or pose a safety hazard. Problems requiring complete belt replacement or a repair like splicing result from diverse causes.  A little investigation can help determine whether to replace or repair the troubled belt. If a belt breaks without any sign of trauma — like broken connectors or gouges from sharp field debris — itâ€™s probably suffering from excessive overall wear. Splicing in a new section of belt at the break point isnâ€™t a satisfactory solution, because another break is likely elsewhere on the belt, at any time. Some baler manuals provide guidance about the lifespan of belts. Many will need replacing after a decade or so. But some farmers are still baling with 20-year-old belts. A better indicator is bale volume. After handling 7,500 bales, a belt will have reduced ability to grip the hay or baler rollers. But some belts may chalk up 25,000 bales or more before needing replacement. Storage and operating conditions also affect belt lifespan. A baler kept inside the barn is likely to have longer belt life. Exposure to sun and ozone can dry out belts and make them brittle and/or slick. Farmers who bale with higher belt tension, in the interest of maximizing bale density, often report a shorter lifespan for their baler belts. A baler acquired second-hand may not come with records of belt age and bale volume. An experienced farmer can run his own diagnostic. Simply sliding a hand over the belt surface can determine whether the surface is too slick or still has adequate gripping power. Eyeballing the beltâ€™s tracking provides other useful clues. Although some rubbing against belt guides is normal, excessive rubbing will cause substantial curl to belt edges, perhaps fraying or even folding over. With such signs, replacement may be the best option. The cables or pins that hold together the belt ends will not last as long as the belt surface itself. Some manufacturers recommend replacing these every year or so, even if the belt is still holding together. If a belt has come apart thanks to corroded or bent connectors, the fix is quick: simply replace the pins/cable. 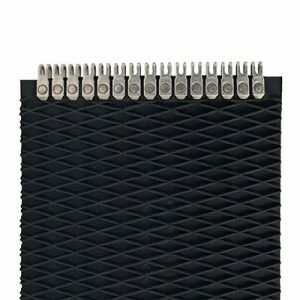 We carry three different sizes of hinge pins for alligator rivet fasteners. The fasteners themselves — whether consisting of alligator rivets or hook splicers — may be the cause of belt failure. 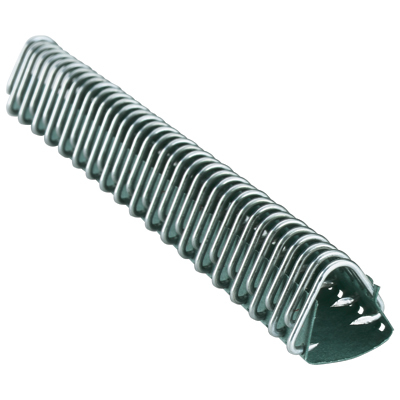 The obvious remedy is to replace the fasteners, not the belt. Often, a belt tears after a close encounter with sharp debris in the hay. If the injury is small, particularly if the rip runs parallel to belt length, no repair may be needed at all. If the tear is extensive or runs perpendicular to belt length, it will affect the overall integrity of the belt. In that case, the torn section of belt must be replaced. This means cutting out the damaged piece, then measuring it and cutting a new piece of belt to size. Itâ€™s usually a good idea to grind down the gripping surface at either end of the patch, to ensure a smooth transition when secured to the old belt, whether with alligator rivet fasteners or hook splicers. Most farmers are capable of handling this repair themselves. There are several useful online videos, like the one below, to show the steps involved in installing a patch. An experienced pair of hands can make this repair within half an hour, with the help of some power tools and a bench vise. Some farmers claim to be handy enough to make such repairs in the field. Visually inspecting belts before heading off to bale hay can pre-empt some breakdowns in the field. But itâ€™s a good idea to have splicing tools and replacement belts on hand — to minimize the down-time when those nasty surprises occur.